MFJ 1705H RF Bypass Switches are designed to switch in, or bypass, any RF device. 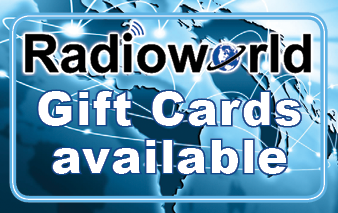 Simply connect your antenna tuner, linear amplifier, pre-amp, wattmeter, or other device using the SO-239 coax connectors. A rocker switch allows you to choose between "RF Device In" and "RF Device Bypass." 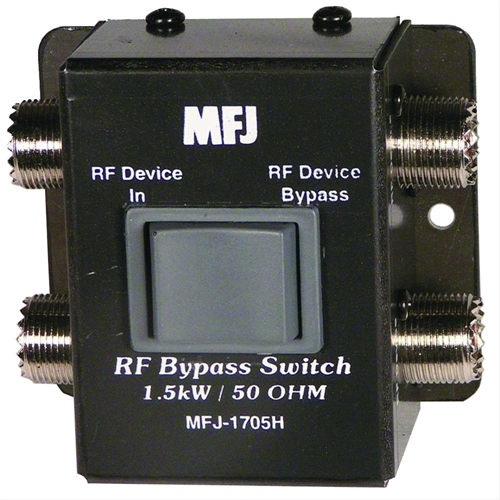 MFJ 1705H RF Bypass Switches are rated to operate from DC to 60 MHz at 1,500 watts PEP. They're great for any bypass application up to the full legal limit! They're small enough that you can mount them anywhere you find convenient.